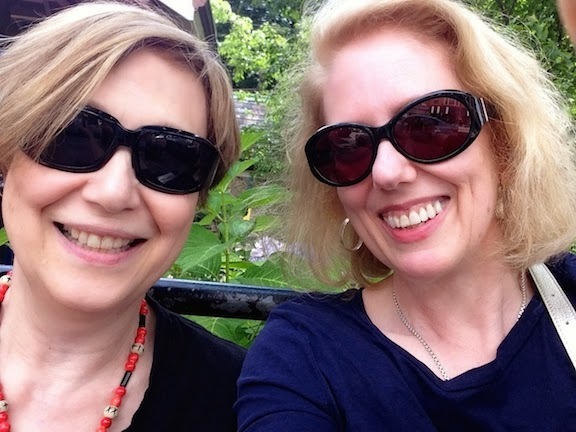 Bestselling authors Loretta Chase & Susan Holloway Scott gossip about history, writing, and yes, shoes. Whether you plan to show off your Easter finery in a parade or at a ball, or simply wait patiently for a chance to wear some spring clothes (we're still bundled up here in New England and the daffodils are shivering), I hope this image will amuse. Thanks to Isabella for bringing it to my attention, and to the Rijksmuseum for making it available through the Rijksstudio. No credit for the great George Cruikshank? Anonymous, I would give him credit if I could, but neither the Rijksmuseum nor Horace Walpole Library (which also has the print) credit an artist. 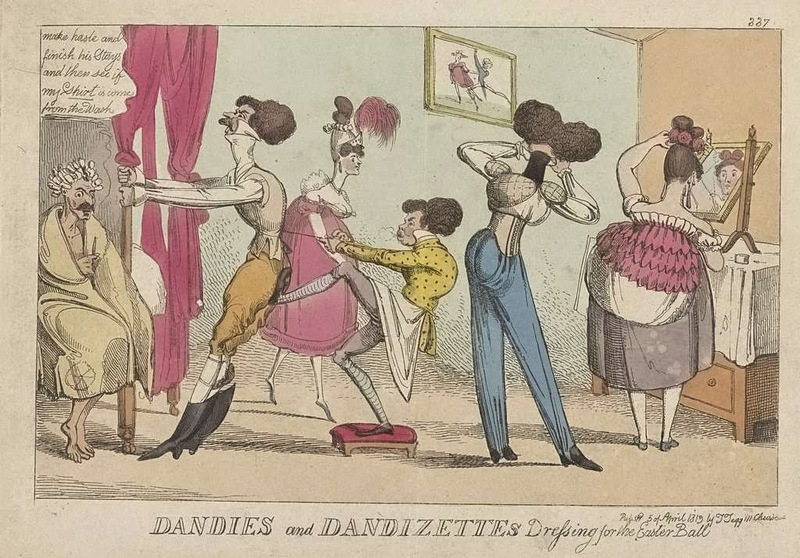 I'm no expert, but the Cruikshank I find for the lovely dandies prints is Robert, and this doesn't look quite like his exquisite work or his delicious humor. Too, he usually signed the prints. But if anybody has further information, I'd love to be able to give proper credit to the artist. Dandizettes - now that's a word one does not hear any more. Delightful print - thank you Loretta. One of us -- Loretta Chase -- writes historical romance. One of us -- Susan Holloway Scott -- writes historical novels, and as Isabella Bradford, also writes historical romance. There’s a big difference in how we use history. But we’re equally nuts about it. To us, the everyday details of life in the past are things to talk about, ponder, make fun of -- much in the way normal people talk about their favorite reality show. We talk about who’s wearing what and who’s sleeping with whom. We try to sort out rumor or myth from fact. We thought there must be at least three other people out there who think history’s fascinating and fun, too. This blog is for them. Ann Frankland Lewis & "The Dress of the Year"
One a penny, two a penny, hot cross buns! From Servants to Staff: How Many? Victorian Paris Blog is a Book!